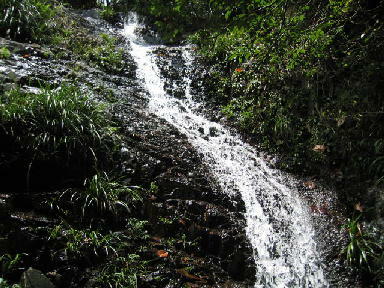 This stream runs from West Buffalo Hill (Wong Ngo Shan, 黃牛山) to Ho Chung (豪涌) in Sai Kung. 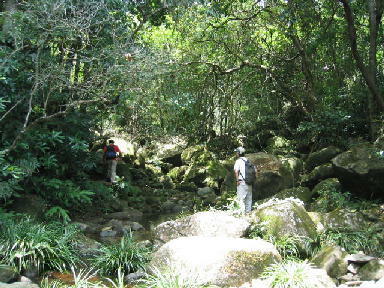 The stream is not very difficult, but it is full of slippery and mossy rocks. 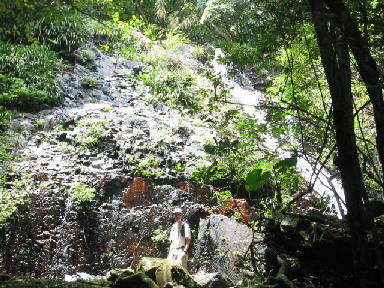 There are a few waterfalls though. The water there is clean, you can find quite of number fish, shrimps and frogs along the stream. 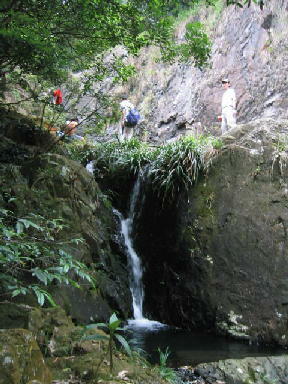 This dam is the entrance of the stream. This is the first sizeable cliff in the stream. 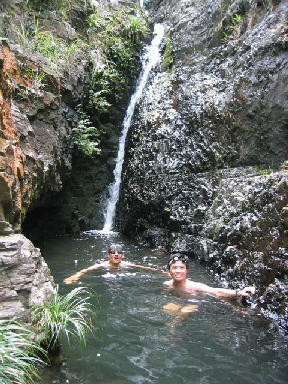 Although there is waterfall hanging on the cliff, there is practically no water pool associated with this fall. Hikers can take the path on the right to overcome this cliff. Here is a narrow footpath lying along the very edge of this cliff. You cannot afford to miss one step. This is the key "attraction" of this stream, Ginseng Fall. 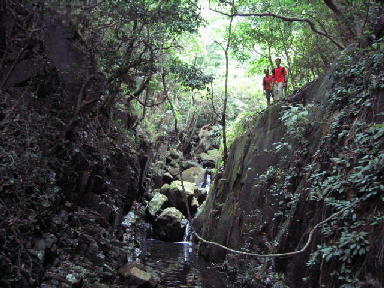 The upper picture is a short waterfall that "guards" the Ginseng Fall. The pictures on the right is the highlight of this Wong Chung Stream. The pool is narrow but deep. We find fresh water shrimp and cascade frogs in the pool. You can leave the Ginseng Fall on this left. 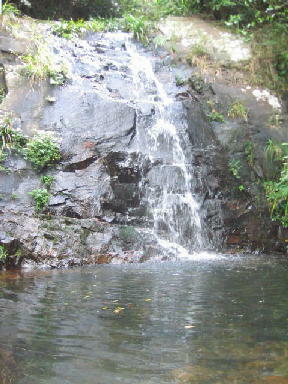 This is a mid-size pond on the top of the Ginseng Fall. 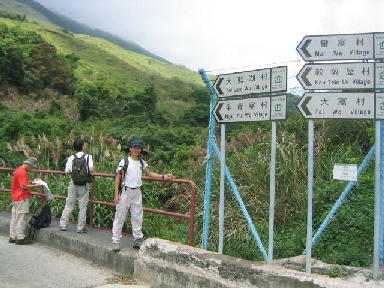 At about 305M, you will find a faint footbpath which will eventually bring you to MacLehose Trail. 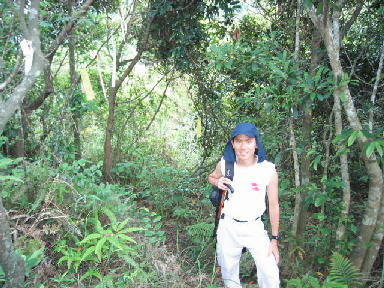 This pic indicates where the faint footpath meets the MacLehose Trail.